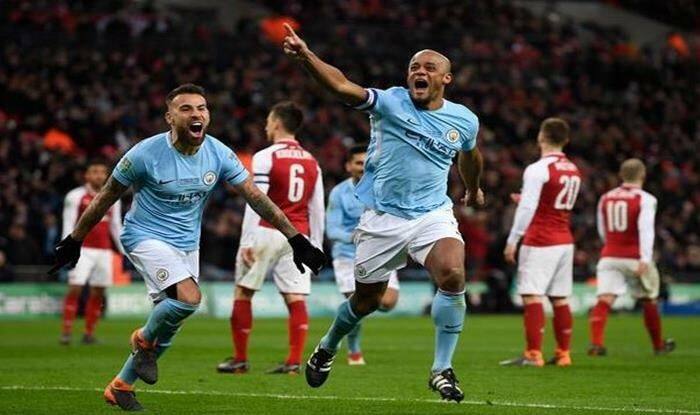 Defending champions Manchester City are set to take to the field against Arsenal in what is set to be a blockbuster Premier League fixture on Sunday at the Etihad Stadium. The Blues are have had a good season but their race for the title was put to a halt after a loss against Newcastle United in the midweek. A draw for their title rivals and table toppers Liverpool alleviated matters as they too were held to a one all draw. For Arsenal, it is a battle to be in the top four, whereas for Manchester City, it is a battle to retain their title. Ahead of the fixture, City boss Pep Guardiola was all praises about the Gunners boss Unai Emery, who he insisted was doing a great job in his first year with the North-London club. “Always (Emery) has done an incredible job and now we are here and he has done very well. Arsenal are always a danger; young guys, lots of quality with Lacazette and Aubameyang in behind and Ozil. A top side” said the Manchester City boss. After Manchester City’s loss, reports surfaced that Guardiola had the players had a closed-door meeting in the dressing room and shouting voices were heard from the dressing room. “We analyze, we talk and we see what went wrong (at Newcastle) and where to improve and how to attack. We did it in the past and that is why we have to just analyse what we have done in the past and in the last game,” said Spaniard. “We are not happy about the last performance, everyone knows at half time and after the game. If we hadn’t had motivation then we would not be here. We want to sustain the top level. There are a lot of games and sometimes it is a challenge and it is tough,” he added.